Join the thousands of satisfied customers that host .NET Core, ASP.NET, Classic ASP, and PHP Applications with Web Wiz. Award-winning service with 18 years of Windows Hosting experience from a knowledgeable and friendly Support Team. 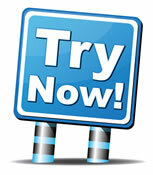 Our Free Trial allows you to try our best Windows Hosting Pacakges with no obligation.